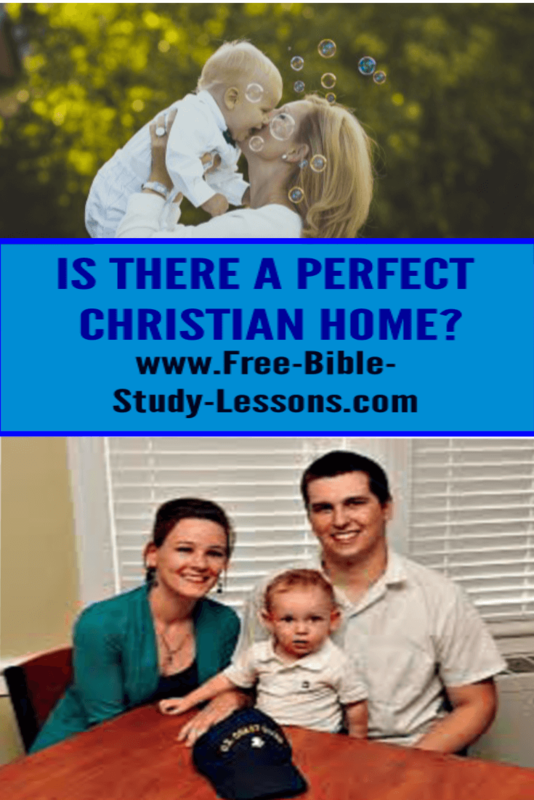 The notion that the Christian home is a perfect or near perfect place is decidedly not Biblical. The parents in the home fail; often they fail miserably. They fail one another, they fail their children, and they certainly fail God. The children fail too. They bring home report cards with Ds and Fs, throw tantrums in the shopping mall, and try to eat peas off their knives when the preacher is invited to dinner. Husbands and wives quarrel, get irritated with one another and sometimes have serious misunderstandings. Of course, there are accomplishments too; but the point I want to make is that conditions frequently are far from ideal. 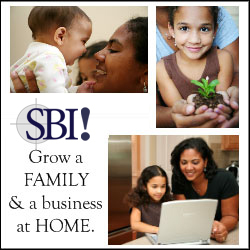 That is the realistic picture of a truly Christian home. Perhaps you are wondering how such a description differs from that of the house next door, in which there is no one who makes a profession of faith in Christ. You may be wondering, "Why did he describe a truly Christian home in those terms?" The answer is simple: this is exactly what the Bible throughout gives us reason to expect among saved but yet imperfect persons. In fact, the whole Book deals from beginning to end with how Christ saves men from their sins. Salvation is complete; it involves justification, sanctification, and glorification. By grace, through faith, God justifies believers in an instantaneous act. That is to say, Christ died for His people in order that the penalty for their sins might be paid and His righteousness might be counted to them. They are declared just before God when they believe. Once justified, Christ saves them from the power of their sins through the lifelong process of sanctification. In sanctification, Christians are made more and more like Jesus Christ. But a lifelong process never ends, and the final goal is never reached until death. At death, Christians are glorified; they are then made completely perfect for the first time. But during this life, Christians continue to sin. A truly Christian home is a place where sinners live; but it is also a place where the members of that home admit the fact and understand the problem, know what to do about it, and as a result grow by grace. Let us look in more detail at three significant differences that make all the difference in the world. 1. Christians admit their sins. Because they know the Bible says that no Christian is ever perfect in this life [cf. 1 John 1:8-10]. Christians are able to acknowledge the fact and, in time, learn to anticipate and prepare for sin. They, of all persons, should never rely upon rationalizations, excuses, or blameshifting [although, of course, as sinners they sometimes do] to try to euphemize their sins. They do not have to cover up, for all Christians know that Christians sin. There can be, therefore, a certain amount of openness, honesty, and relaxation about the relationships that Christians sustain to one another, especially in the home. I am by no means suggesting that we may be relaxed about sin; exactly not that. What I am trying to say, however, is that Christians do not need to spend anxious hours of futile endeavor trying to cover their tracks. They do not need to think up ways to deceive the fellow next door into thinking that they are sterling specimens of humanity. They may freely admit what they know is true: that they have failed to do the will of God. With the freedom to admit the truth comes the possibility of repentance, and with repentance they can expect forgiveness from God and from one another. Christians can progress rapidly out of sinful living patterns as a result. They can pour their time and energies into the endeavor to replace sinful patterns with Biblical patterns of life. Rather than wasting time minimizing or denying the fact of sin, Christians can concentrate on dealing with sin. Parents certainly can take a lot of the unnecessary grief out of child raising when, as a matter of course [rather than becoming falsely shocked over the fact], they expect their children to do wrong things at home, at school, and in public. There is then no necessity to subject children to unusual and inappropriate discipline or to the excessive anger that sometimes grows out of embarrassment. Once parents are prepared to admit that the Biblical doctrine of original sin is true not only in theory, but it is operative as well in the life of little Mary or Johnny, they can relax and deal with the problem appropriately [Biblically]. Again, this does not mean that they will excuse or ignore sinful behavior in their children, or that they will be unconcerned about it as something inevitable and, therefore, about which nothing can be done. No, not that at all. Rather, they will acknowledge sin for what it is and will proceed to deal with it in a Biblical manner. All of which leads to the second difference. 3. Christians progress out of their sins. Where there is spiritual life, there also will be spiritual growth. No Christian can remain the same yesterday, today, and tomorrow. A fundamental presupposition of the Christian faith is that there will be growth out of sin into righteousness. Where there is Bible study, prayer, witness, and the fellowship of the saints, the Spirit of God will be at work to produce His fruit. That fruit is righteousness. This book deals also with the many ways in which the Bible may be used preventively in Christian homes to avoid the trials and problems that the family next door must face simply because they have no such standard. The Christian home, then, is a place where sinful persons face the problems of a sinful world. Yet, they face them together with God and His resources, which are all centered in Christ [cf. Col. 2:3]. Sinners live in the Christian home, but the sinless Savior lives there too. That is what makes the difference!